One of the best experiences of Ramadan is the beauty of the night prayer, standing in Taraweeh/Tahajjud. Yet many people don’t feel the effect of night prayer upon their hearts, and instead complain of aching feet and back pains! 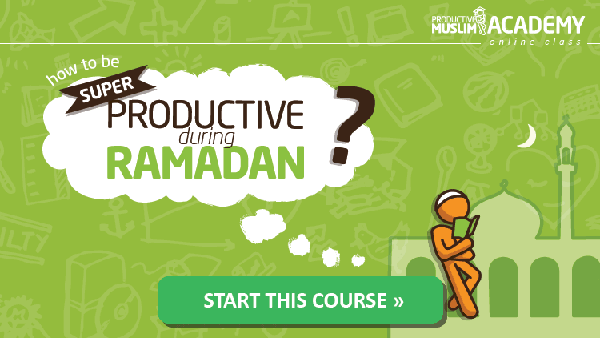 Here are some practical tips that would help you enjoy this experience each night inshaAllah. 1. Dress in your best: dress smart (don’t go in your PJ’s); brush your teeth; perfume yourself (anything but smelling like fried food). 2. Eat healthy: Eat light during iftaar; get your tea/coffee or whatever gives you the “punch” so you have the ‘feel good factor’ before you pray. 3. Breathe and relax: During Taraweeh stand with your feet apart. Also, take long deep breaths during Salah. This is very helpful. 5. Plan to donate: Carry change/cash and make an intention to drop all of it in the charity box. 6. Distract children: If you have children who might distract others during prayer, take some Ramadan theme coloring activity sheets: See Ramadan-coloring-pages. 7. Be positive: Go with the mindset that you’re going to enjoy the experience. Many people assume it’s going to be long, monotonous, slow recitation, etc. Get rid of such negative thoughts, they won’t help you! 8. Remember the rewards: Refresh your mind of the reward in performing this prayer, its exclusivity to Ramadan, and the exciting thoughts of being amongst hundreds of other Muslims. 9. Remember Allah and your last moments often – Recite adkhar as you walk to the masjid and remind yourself that this may be your last prayer as we never know when our souls will depart from the world. 10. Aim for ihsan: The best khushu of course, is to pray with being conscious of Allah – Make Dua that Allah increases your concentration and the ability to focus. 11. Focus on the recitation: One of the many reasons why we can’t gain the heartfelt connection in Taraweeh is due to lack of focus and understanding of the Qur’an, follow the recitation, even if you can’t understand the words, make the effort to listen to the words of your Lord. 12. Translate the verses: To increase your understanding of the Qur’an in Taraweeh, firstly read the translation before the evening’s Taraweeh especially if you know which Surah the Imam is going to recite that day. 13. Search the Arabic words you know: use whatever Arabic you do know to understand certain words from the Quranic recitation. When the Imam recites a verse with the word “naar” (fire) in it, imagine the hellfire, how hot it will be, and how it would feel to be in that fire. When you hear “Jannah” remember Paradise and all the bounties within. 15. Front rows: Get your spot in the first row. This minimizes distractions from fidgety people and everything else! 16. Get a taraweeh buddy: Encourage someone who doesn’t generally attend taraweeh to go with you or drive them to the masjid if it’s far. This would strengthen your will to go each night inshaAllah. 17. Say salam: Greet the person on either side of you at the Masjid with Salam and thank Allah for this beautiful religion of Peace. 18. 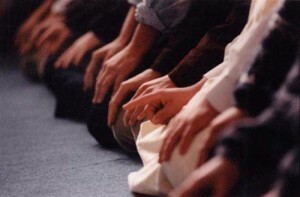 Get up and stand up for Allah : Remember when you stand in Salah that you’re standing in front of Allah . So no slouching or fidgeting, you’re standing in front of the King of Kings! Keep that in mind and that should straighten your back and help you focus more! Try these steps above as you stand in longer night prayers, especially in these final nights of Ramadan and share with us below how you come away feeling next time. Humairah Irfan is a writer and women’s health and fitness expert with a passion for leaderships development and succession planning. She also runs a a group called Baby Bites, whose goal is to help new moms instill the love of Qur’an and Sunnah in their children. She can be reached at [email protected].